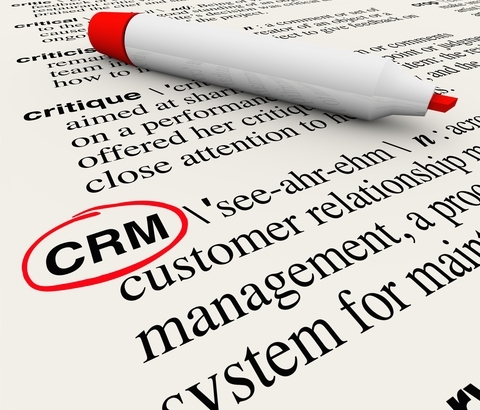 I was participating in a roundtable discussion with several business owners the other day and the topic of CRM systems came up. Every single person at the table let out a unanimous groan and immediately commented on how difficult the systems were to manage. Even more troubling for the group was that they had not seen any real increase in sales as a result of implementing the CRM systems. I found this discussion to be very interesting because despite these businesses varying in size from a few million to hundreds of millions in revenue, I have had the exact same conversation with Fortune 500 sales executives. I brought this conversation forward to my friend and collaborator, Joe Vance, to see what his experiences have been. Joe is an expert on CRM software and its implementation, so I thought that perhaps he had a different perspective. However, it turns out that what we’ve both found through experience is that many organizations have the misperception that implementing a CRM system alone will lead to improved sales results. Put the right sales process in place: Many companies believe that implementing a CRM system will suddenly improve their sales process. If the process doesn’t work today, automating it won’t suddenly fix it tomorrow. Spend time before you implement your CRM system understanding your buyers’ journey and aligning the key selling activities with how your customers are buying. If you do it correctly, creating your sales process will provide a roadmap for your teams on turning opportunities into satisfied customers. Enable your sales teams to execute the process: Even a great sales process will fall flat if your sales reps don’t have the necessary skills to execute. So, once you have defined a sales process that aligns with your buyers’ journey, determine what skills your sales reps need to guide the buyer towards choosing to work with your company. Then, proactively focus on developing these skills through effective training and coaching. Coach to improve activities and results: CRM is often sold based upon its capability to provide greater insight and visibility into sales activities and results. But frequently there is a chasm between CRM-enabled coaching capabilities and any sort of sales coaching program. It’s as if coaches assume the self-serve dashboards and reports enabled by CRM will change behavior, so there is no need to coach. Nothing could be further from the truth. CRM must be a tool used by coaches as part of a formal, institutionalized coaching program that focuses on the process rather than after-the-fact results.